All custom Squarespace design packages include e-commerce store capabilities, custom branding color guide, content strategy, custom SEO, SSL Security, GDPR compliancy, and built-in analytic metrics. What if we told you we could help you put together a month of social media posts and create your social media graphics and images all in several hours? Sounds amazing, right? The new Social Consult package includes a photoshoot (Nashville), 15 edited photos, a consult meeting to plan out 1 month of social media posts, and custom social graphics. Are you all about doing it yourself… but looking for some advice and inspiration? We’ve got you covered! Check out the Designing the Row blog or click below to shop our workbooks & planners! 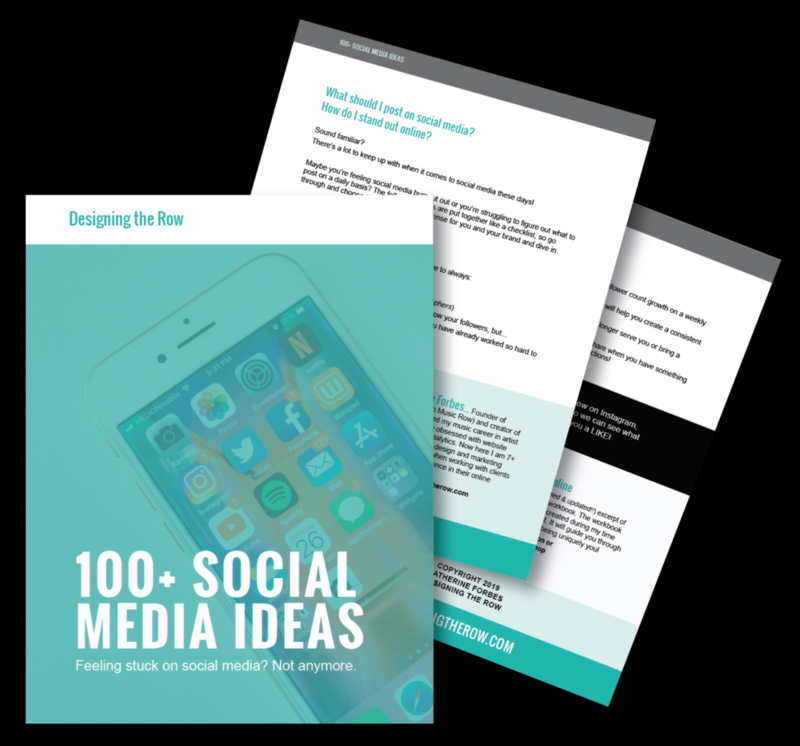 Looking for social media ideas? Here's more than 100... for free! Enter your name and email below and get instant access to the PDF! You'll also be added to Katherine's email list which you can unsubscribe from at any time.